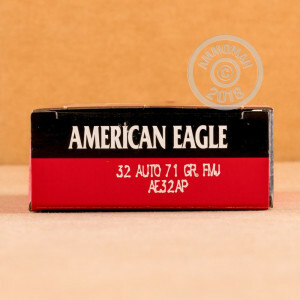 This round comes from Federal’s American Eagle line of ammunition, which is all about offering shooters with an effective means of target shooting and training without having to take out second mortgages on their houses to afford it. Its Boxer primer is consistent and sensitive, its brass casing is factory fresh and reloadable, and its clean burning propellant won’t needlessly foul up your bore after shooting for a while. 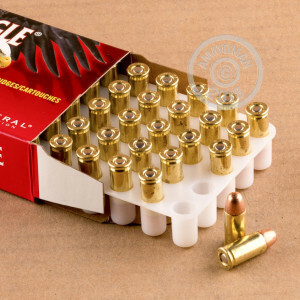 This cartridge’s 71 grain projectile sports a full metal jacket, which will even further prevent residue accumulation in your bore while ensuring reliable feeding in semi-automatic weapons.